So I have been helping a bunch of people in discord and I come across this issue with alot of people. 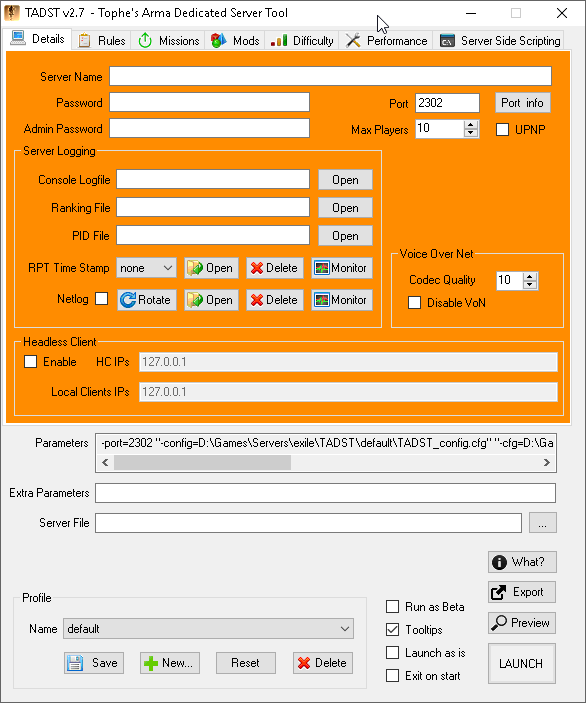 Thought it was about time I created this tutorial on using Exile server along with Tadst so it works properly. 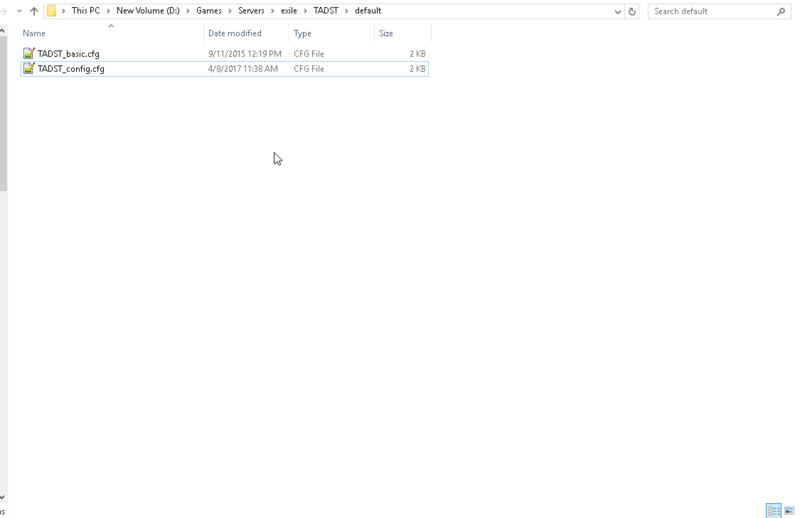 So you download the TADST.exe and copy it to your arma3server folder, sameplace your arma3server.exe is. Next thing, click on the mods tab at the top, and checkmark the mods your using for your server, DO NOT check mark @ExileServer, only checkmark @Exile and any other mods your requiring your players to use. Once you have done this, then click on save, at the bottom underneath Profile. Once saved, your going to click on "Launch as is"
which you can see in above screenshot. Next step is to minimize TADST. you then want to rename the 2 files. you can verify that its added to your commandline, by scrolling over in the parameters section LIKE above. Once you have done this, you should be able to confirm your commandline. you can see from my screenshots, that I did not fill out anything in the server name, password etc. the only tab I use is details for the parameters, and mods tab for choosing the mods. the rest is not used because we are overriding the basic and config.cfg by checking the launch as is box. You should be able to Launch your server now and it should work properly. i did everything but it says mission file missing. 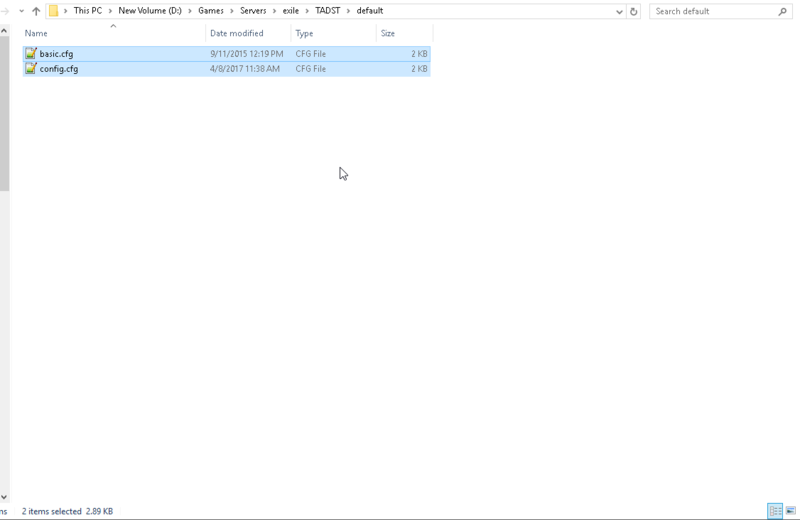 as im so noob @exile server file cant see it,its not in the mod,neither in the server files folder.is there any other way,simple. 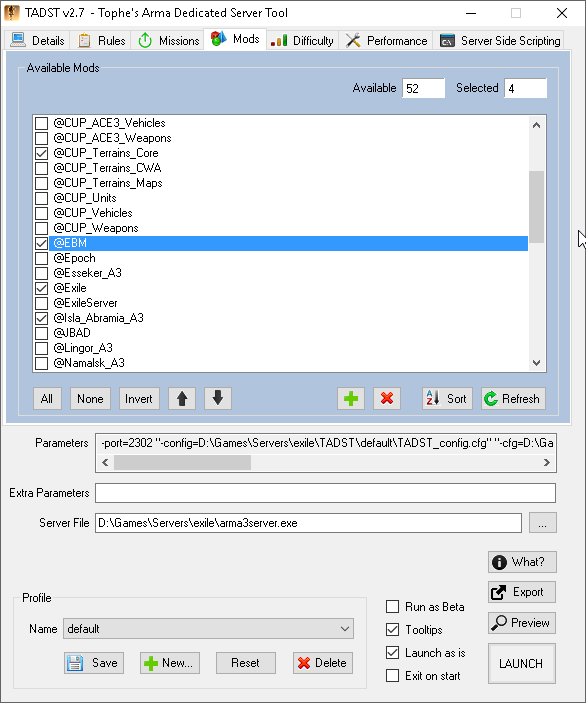 @Exileserver is server side, clients do not need to load the mod.